A low-cost housing system was developed for use in seismically active tropical countries. Objectives include low environmental impact (including carbon emissions), use of local and preferably recycled materials, and use of local labor. Low-strength concrete blocks (made using recycled concrete aggregate) are used together with an innovative seismically-resistant bamboo frame, earthen plasters, bamboo trusses, and metal deck roofs. 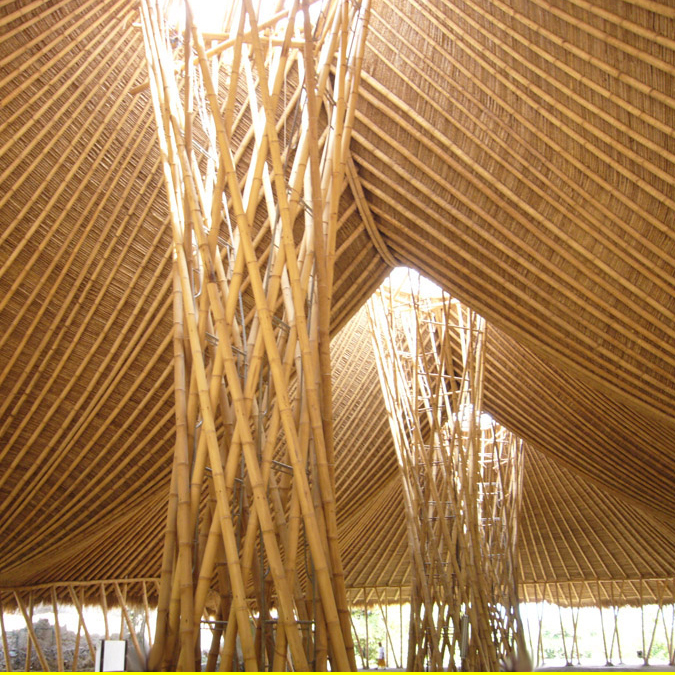 The bamboo frame relies on flexural yielding of a short rebar dowel to provide ductile performance at a defined strength level. Plinth walls below the frame and short rebar dowel protect the bamboo from moisture. Experimental and analytical results are used to establish the structural design of the system for resisting wind and seismic loads. Presentation of an Introduction to building with bamboo, history, and engineering design details, especially as in Columbia, South America.